Universidade Aberta (Portugal) is the project’s coordinator institution. With headquarters in Lisbon, this university is the referent and the unique public e-learning higher education in Portugal. José Porfírio is a management professor of UAb since 1996, having been the Director of Social Sciences and Management Department of UAb from 2009 until 2013. He is a member of UAb’s Board of Management since 2008. José Porfírio holds a degree in Management Studies and a Master in Mathematics Applied to Economics and Management with a specialization in Operations Research, from Instituto Superior de Economia e Gestão (ISEG) – Technical University of Lisbon. 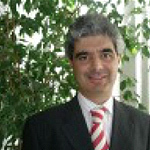 Since 2005 José Porfírio holds a PhD in Management, with a Specialization in Strategic Management, from UAb. Until 2008 he was director of the MBA/Master in Management Studies of UAb, being directly responsible for the domain of Strategy. He is presently responsible for the UAb’s Master in Management/MBA Program for Angola and Coordinator of the CINet’s Leonardo da Vinci Project of Transfer of Innovation, promoting Entrepreneurship in the Creative Industries Sector. 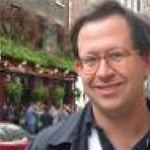 Since 1999 José Porfírio is a consultant of UNCTAD’s TrainForTrade Program in the domain of international economics and development. From 2005 to 2008 he was Assistant to the cabinet of the secretary of state and also the minister of agriculture, fisheries and rural development of Portugal, being responsible for the domains of Agribusiness competitiveness and development and having tutored several public Companies in the field of agribusiness and rural development. Besides his academic background, he has also a long experience of work in different companies and as a consultant and a trainer on strategic and international management. He is presently a researcher at CIEO – Research Centre for Spatial and Organizational Dynamics developing research in areas like Strategy and the Economic Development of Regions; Corporate Strategy and ICT/Business Intelligence; or New Economic. Click here to consult his detailed CV. Tiago Carrilho is an assistant professor at the Open University in Portugal and a member of CIEO – Research Center for Spatial and Organizational Dynamics at the University of Algarve. Their research areas are social economy projects and evaluation of social and employment policies focusing the study of local projects which support self-employment initiatives. He holds a degree in Economic Studies, from Instituto Superior de Economia e Gestão (ISEG), a Master in Regional and Urban Planning from Technical University of Lisbon and he also holds a PhD in Economics from Instituto Superior das Ciências do Trabalho e da Empresa (ISCTE). He is the Coordinator of Portuguese research team of the CINet and integrates its Executive Committee and the research team. Click here to consult his detailed CV. Carlos Pinho has developed his career within the financial auditing business, ranking from staff to audit partner within 25 years. In the last 20 years Carlos has been lecturing in the auditing, accounting and financial areas, and has obtained his PhD in management. He has ever since published several articles and books in financial, audit and accounting issues. He is now a member of the coordination board of the Management course in UAb and member of the Quality Group of the Social Sciences and Management Department (DCSG) of UAb. 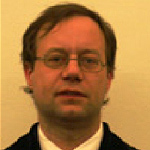 Besides the lecturing activities he is currently developing his research in auditing, accounting and entrepreneurship. He is a member of the research team of the CINet’s Project. Click here to consult his detailed CV. 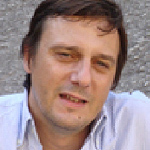 Marc Jacquinet is a professor of economic and management at Universidade Aberta (UAb) since 1999, on subjects like Research Methodology, Research Seminar and Organizational Behavior and Sustainable economic development, being the coordinator of management graduation of UAb from 2009 until 2013. He holds a BA degree in Economics Studies, from FUCAM-UCL, Université Catholique Louvain- Mons, Belgium, a Master in Economics from Universidade de Coimbra, Portugal and a PhD in Economics from Instituto Superior de Economia e Gestão (ISEG) – Technical University of Lisbon. He is presently researcher at CIEO – Research Center for Spatial and Organizational Dynamics developing research in areas like economic development, organization studies, innovation and entrepreneurship projects and evaluation of public policies in subjects like innovation, entrepreneurship, education and research. He is member of the research team of the CINet’s Project. Click here to consult his detailed CV.